Conventional wisdom has always touted putting your home on the market in the "Spring." Which, for those of us who live in New England, could be anytime between April and the end of June! 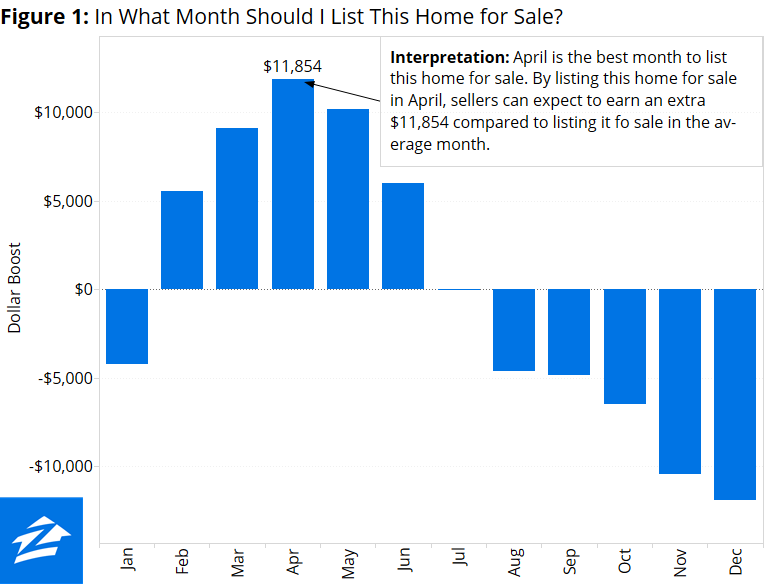 As the chart above shows us, houses tend to sell for more in the Spring and in less time. However, this chart can be somewhat misleading as it doesn't take into consideration the current housing climate, location or price ranges of the homes being sold. To throw a wrench in the works is the the ever present notion of "supply and demand." On the North Shore when you put your house up for sale in April or May you will have a access to a bigger buyer pool, better weather, better curb appeal and if all goes well multiple offers. However, the flip side of this coin is there is much more inventory for the buyers to chose from so they can afford to be more discriminating. In the Spring your house could end up being one of 40 or more from which to choose. If you list your property in the "off season" - say late Fall or early Winter- you have some perks and challenges as well. No one really wants to have open houses or showings around the holidays. On a positive note, the kids are in school the majority of the day and not under foot like in the summer and your house is all done up and looking festive. Also, buyers looking in the off season are generally looking for out of necessity. Off season buyers are more focused and serious about finding the right home in a shorter amount of time. In many cases, they are involved in a relocation or facing a situation that is requiring them to move. To make a long story short is that if you price your house correctly within your market and have a proactive and knowledgeable Realtor, your house will sell whether or not there is snow on the ground or tulips blooming. Just one last thought to bear in mind when selling your house- the best time for a seller to sell is also the worst time for a buyer to buy!